While in New York this summer, we found it hard to keep track of where we were going and taking pictures of the monuments. Constantly switching between Maps and Camera, we thought that there had to be a better way. 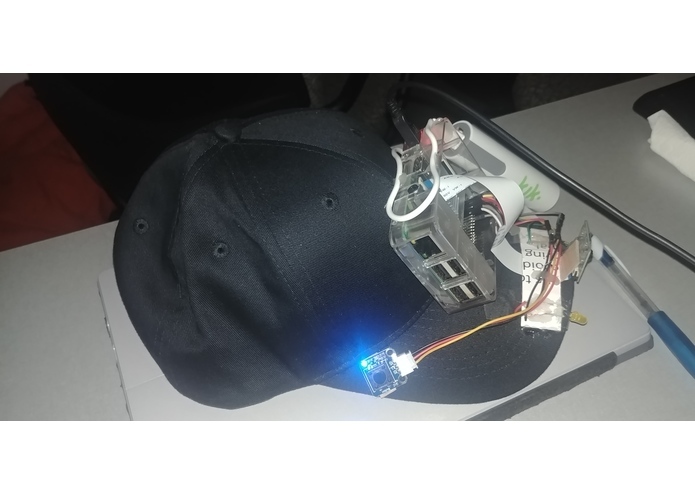 The hat takes pictures at the press of a button and then sends them to you. Two LEDs on the front of the cap also indicate which direction you should travel, in order to arrive at your destination. To choose your destination you message our chatbot name HatBot. Raspberry choosing new IP addresses. finding the right hardware, getting hot glue instead of tape, wiring it properly, writing the multi-threaded code, integrating with Twilio, Firebase, and Google Maps. Making the coolest hardware hack ever!!! Don't be so ambitious right off the races. Plan your time - definitely, don't waste it. Be early, stay close to what's happening, and stay hydrated!